Ventilation systems do of course need ongoing servicing to minimize the risk of issues and also to keep them working as efficiently as possible. In order to keep your business functional at all times, KES Facilities can provide you with a servicing agreement which is designed specifically around the equipment you have installed. With a large team of skilled technicians working around the clock, our servicing and maintenance packages allow the work to be carried out at a time which won’t cause any disruption to your business. to discuss your ongoing servicing and maintenance requirements, why not give our team a call today? We will discuss your existing system or your interest in a new system, your organisation and the reasons for your ventilation system and put a plan in place for how we can keep you up and running and prevent any disruption which could cause losses to your business. 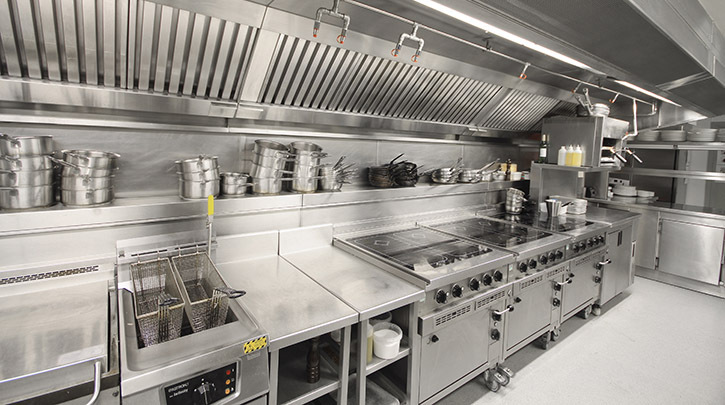 With your extraction system removing harmful fumes as well as kitchen residue and industrial dust, it’s vitally important to ensure it is serviced so that it maintains maximum effectiveness and continues to do the job it was installed to do. Servicing your extraction installation at routine intervals will remove any built up debris and minimize the risk of a breakdown occurring. KES Facilities can provide you with this service and also provide you with the peace of mind which comes from having well maintained, efficient equipment within your organisation. Our team are fully trained and have a wealth of experience which allows them to service your extraction equipment quickly and thoroughly whilst also explaining to you what it is they are doing and why it has to be done.